Fallout4 Nexus, Expired6978. 28 Nov 2015. Better Generators. 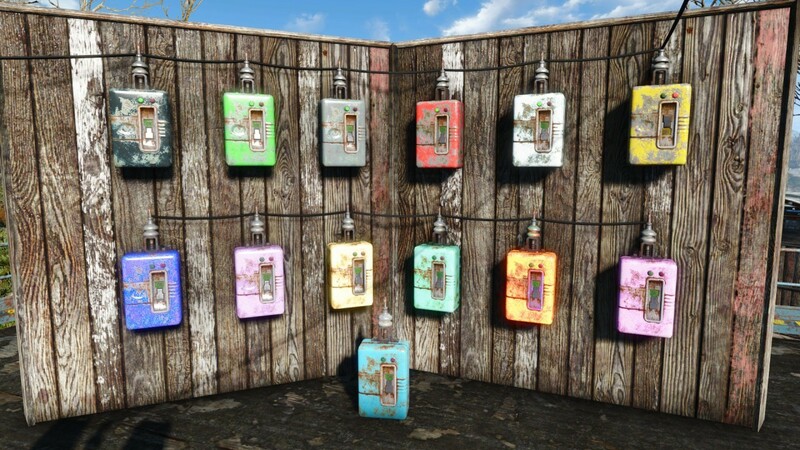 17 Nov 2015 <https://www.nexusmods.com/fallout4/mods/1029>. 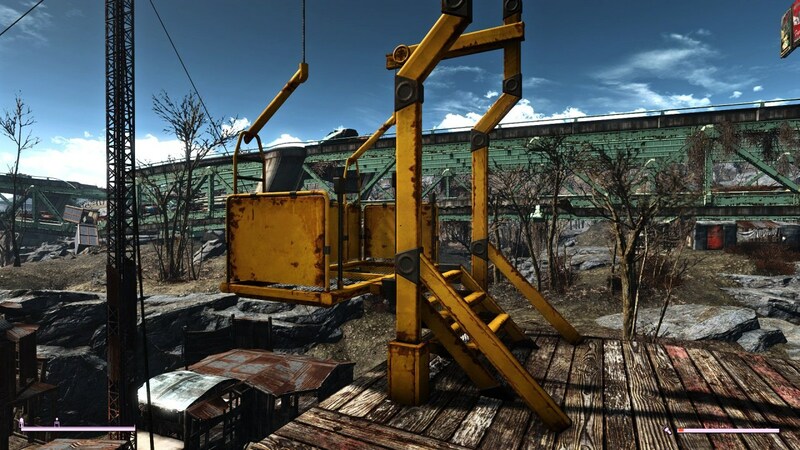 Fallout4 Nexus, Xaos Bob. 25 Aug 2017. A Rainbow of Switches. 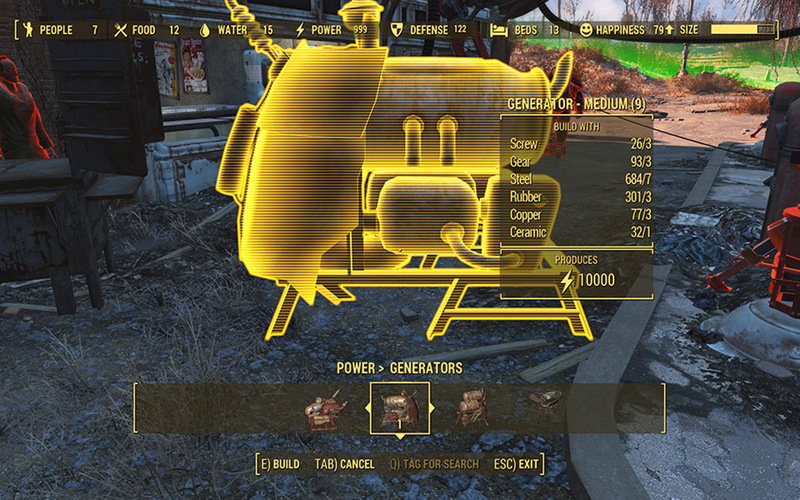 24 Aug 2017 <https://www.nexusmods.com/fallout4/mods/26338>.